The following speeches have been transcribed for the purposes of scholarship and preserving the legacy of Dr. Seymour Papert. We are also assembling an increasingly exhaustive collection of the Seymour Papert’s published articles, interviews, and papers. This archive may be found here. In a few cases, little known documents written by Seymour Papert and not transcribed by Gary Stager are also included. Please help identify trends, big ideas, and shareable thoughts from what you read. Videos with Excellent audio quality will tend to have much more accurate transcripts, even if they have yet to be verified or edited. Cynthia Solomon’s web site also contains vintage video from the 1970s that may be of interest. 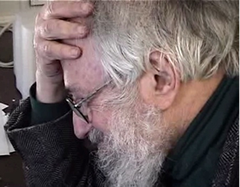 Learning in the Computer Age – A speech by Seymour Papert made at the 92nd Street Y. From: Papert, S. (2006). Afterword: After how comes what. The Cambridge Handbook of the Learning Sciences: Cambridge: Cambridge University Press.